The Captiva team has provided expertise, services and solutions to numerous local, national and multi-national companies and organizations. Below are some case studies of client projects we have delivered in the past. On the right, you will also see a partial list of additional clients we have served. Computer Associates was about to launch the next version of Unicenter and needed to depict the features and benefits of the platform in a visually exciting and descriptive approach to their customers and the marketplace. CA engaged us to design and produce an interactive, animated web presentation to tell the story of v2.0 of the Unicenter software platform at their annual global conference and for the product launch on the CA web site. 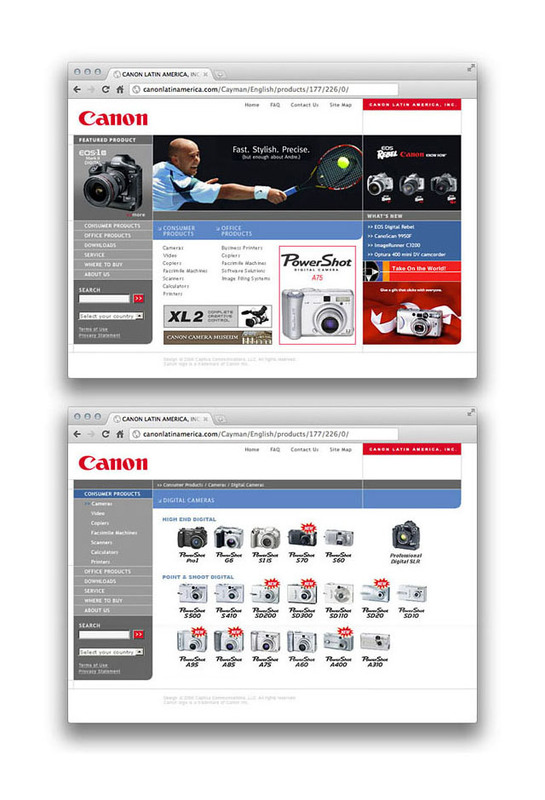 Our team designed and developed a multilingual consumer website as a resource for Canon’s customers in Latin America and the Caribbean. The site was built based on a central database architecture with a multi-tiered back office enabling Canon to manage all orders and content in real time. We also developed an ecommerce extranet to facilitate real time orders and information exchanges with sales staff, distributors, retailers and service providers. Burger King’s charity organization, the Have It Your Way Foundation, decided to launch a new website to rebrand themselves and provide an online platform to attract potential donors and provide current information and news about their programs and activities. The Have It Your Way Foundation retained Captiva to design and develop the new website, which includes an ecommerce module to enable donations to be submitted on the website. Lunatika, a designer lighting and accessory retailer on South Beach, initially retained our team to consult an develop an integrated plan to rebrand and expand their business. We designed a new version of their brand identity, print materials, a new print ad campaign and a new ecommerce website to expand their business online and provide better service and reach to existing customers. Blockbuster contracted us to design and produce a new quarterly video newsletter as a communications tool for retail management teams. 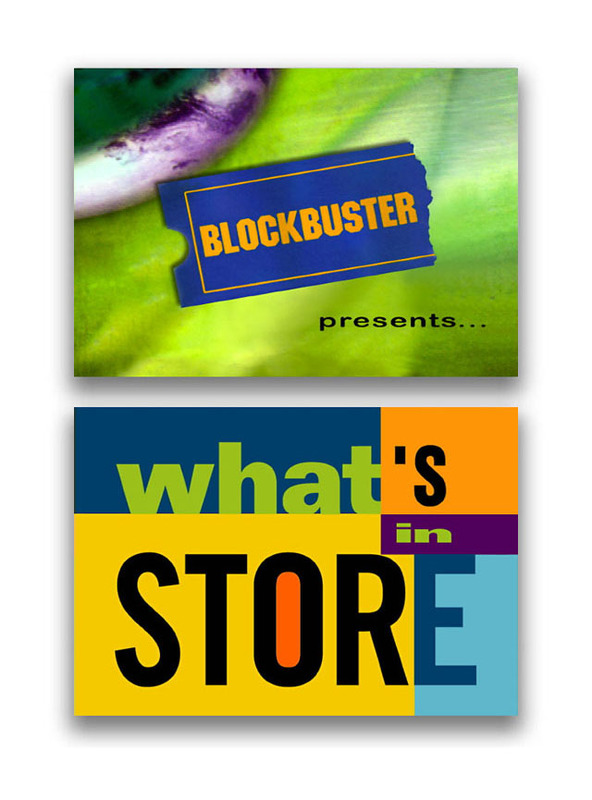 The 10-minute video editions featured Blockbuster store managers as hosts, and included news and information about upcoming promotions, policy changes, advertising campaigns, and a message from Blockbuster’s CEO. We also created the “What’s in Store” identity and motion graphic animation for the title sequence. 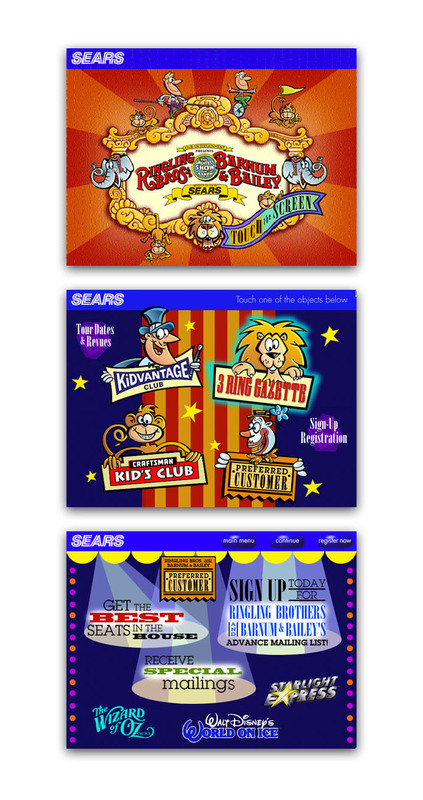 Engaged by Ringling Bros./Barnum & Bailey Circus, we designed and produced a clown-themed interactive touch screen kiosk program that toured the country with “The Greatest Show On Earth.” The program was sponsored by Sears and contained four animations, highlighting various Sears/Ringling coop promotions to families visiting the circus. The project featured original illustration, animation and music produced by our team.